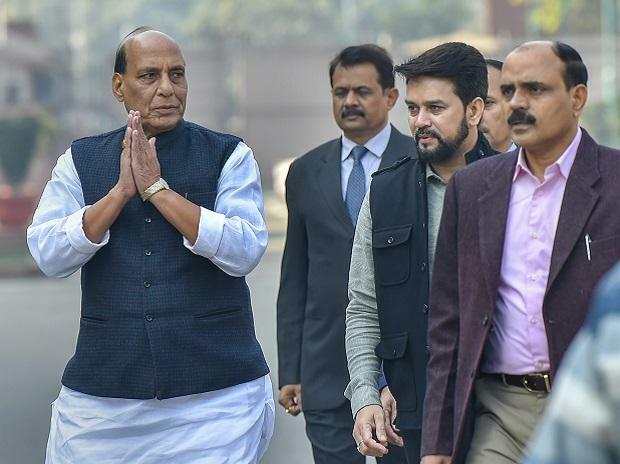 Of all those who are supposed to be ‘disillusioned’ with Prime Minister Narendra Modi, Home Minister Rajnath Singh has been the most disciplined in never venting publicly to his feelings or suppressed ambitions. But at a public meeting in Lucknow earlier this week, others did the job for him. Singh was inaugurating a direct flight to Najaf in Iraq that is a place of pilgrimage for Shias. He handed over the first boarding pass for the flight to Syed Zafar Asgar Rizvi, a Shia religious leader at a public meeting. He said: “it makes no difference whether I win or lose elections. I only want to serve humanity..” To which Rizvi observed: “I have been begging successive civil aviation ministers for this direct flight since 2004.. and now Rajnath Singh has achieved our goal.. We will pray to god that he becomes Prime Minister of India’. What he did not say was: “…and not Narendra Modi”. Jiten Manjhi, the leader of Hindustan Awam Morcha — Secular (HAM-S) — and shortlived former chief minister of Bihar, has decided that he is not getting a fair deal from the Mahagathbandhan. Amid chatter that Upendra Kushwaha’s party might be getting more seats in the gathbandhannegotiations than HAM-S, Manjhi has said he will seek the assent of his party’s executive committee to see what other political options are open to him if injustice is done to his party. When asked what possible options he had. Manjhi said this was not a matter to be discussed in public. “We must get more than Kushwaha gets — after all we renounced power to be part of the mahagathbandhan much before he did”, he said.